The B.C. 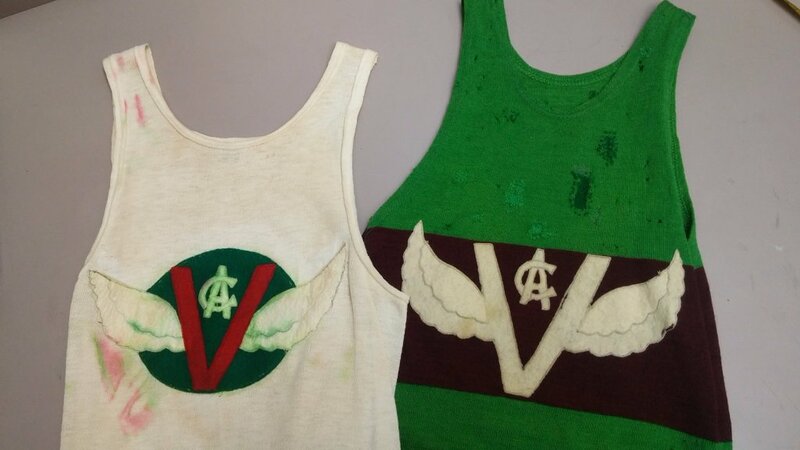 Sports Hall of Fame recently acquired artefacts from Harry Warren's important sporting career. You can read more about this important donation here: http://bcsportshalloffame.com/visit/curators-corner/ Here is Mr. Warren's obituary as it was published in the Globe and Mail on April 13, 1998. Professor, father of biogeochemistry, athlete. Born on Aug. 27, 1904, in Anacortes, Wash.; died of influenza in Vancouver, on March 14, 1998, aged 93. The man they called Professor Midas was born in a Washington port because his father, an accountant who followed fishing boats, found himself with the salmon fleet in late August, 1904. The father went where the money was, and the son would spend a lifetime in the bush doing the same. Harry was sent to Vernon Preparatory School in B.C. 's Okanagan Valley, which inspired a remarkable academic career. 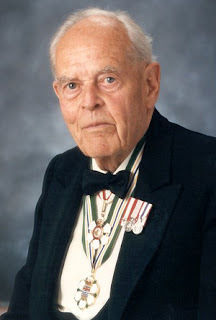 He earned four degrees in four years -- BA (UBC, 1926), applied science (UBC, '27), science (Oxford, '28, as a Rhodes Scholar), and PhD (Oxford, '29) with a thesis on zinc deposits in southwestern Europe. 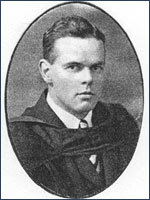 In 1932, he joined the UBC faculty as an $800-a-year lecturer. He considered law, but decided not to spend his life answering to wealth. Rather, he wanted to search for natural sources of it. During the Depression, the federal government hired junior geologists to help prospectors. Harry Warren and a colleague were sent to the Rock Creek area east of Penticton, B.C. "We couldn't find a prospector in the area except a little storekeeper," Mr. Warren recalled of a man whose method was to use a piece of metal swinging on a thread. "We thought this was not the most significant way of prospecting." Mr. Warren had a theory: Soil and what grew on it reflected the mineral content of the rocks below. It had occurred to him when a rancher asked why some, but not all, of his herd had taken ill, although Mr. Warren liked to say he became inspired because he simply "got tired of digging holes." The theory became a science, biogeochemistry; Mr. Warren is widely regarded as its father. Over the years, he discovered three gold-bearing areas in B.C. by studying Phacelia sericea, a small purple flower with orange stamen. "The wretched flower can grow without any gold. But if there is any gold, the cyanide in its roots collects the gold and gives you a clue about what's there." Later, he failed to find a link between lead and multiple sclerosis in Trail. After the 1985 cancer death of his wife Margaret Tisdall, the daughter of a Vancouver mayor, he dedicated himself to seeking medically useful applications of his theory. No stranger to controversy, Mr. Warren nearly lost his teaching job in 1938 after criticizing the Liberals for their patronage appointments. He later felt the wrath of Social Credit premier W. A. C. Bennett and NDP premier David Barrett, thus exhausting the spectrum of B.C. politics. Among his more outrageous pronouncements were calls for three years' forced labour for young people and for the damming of the Fraser River for hydroelectric power. Every summer, he spent a few hardscrabble months in the bush. He taught prospecting school for the B. C. & Yukon Chamber of Mines for 54 years, and lectured inmates at Oakalla prison on prospecting and mineral identification, the latter a subject some of his scofflaw pupils knew only too well. Professor Midas had a jumble of letters to follow his name: OC, DSc, DPhil, FRSC, FGSA. But perhaps the one that best captured him was one he never used -- BMOC. Big man on campus. Into his 90s, he made the daily trek to UBC, where he sat behind a worn wooden desk in a spartan office, the paring knife for his daily pear wedged into a cranny. A "puckish, small man with infectious enthusiasm," remembered the geographer John Chapman. "For his ideas, he was a persistent activist. I used to hear people describe him as an adult Boy Scout." Students who saw him in later years making his painstaking way across campus with a cane and then by wheelchair could hardly have imagined that he had been on Canada's 1928 Olympic track team, with the Vancouver sprinter Percy Williams. Harry was given a modest task: "I slept in the cot next to Percy. His coach was concerned Percy get lots of fresh air and oxygen. But he had a nasty habit of always, before falling asleep, pulling the sheets over his head. My job was to reach over and pull the sheets off of him." In 1990, Mr. Warren was inducted into the B.C. Sports Hall of Fame for his indefatigable work in promoting field hockey. Following a series of small strokes, he checked into extended care at the campus hospital in 1996. He spent the last two years of his life there, before succumbing to Sydney A flu. He maintained his humour to the end. "My father," said daughter Charlotte, "would have told you the reason for death was too many birthdays."